Don't you just hate it when you have tried out a shoe, bought it, but on the court they are a joke . This thread is dedicated to performance reviews of sneakers. My playing style and feet shape: 5'8 pg / combo guard type game, last line of defense usually on D and likes to bolt on offense on opponent 3's. Gamble a lot on D by allowing slow defenders to drive and pick pocket from behind. Foot has lost some arch due ballin overweight and is a lil bit wide footed. Standard feet with big toe the longest toe. 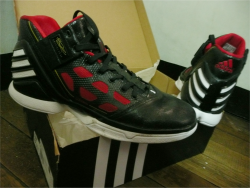 These shoes are dissappointing for one of the most popular bball shoes. They run way too big and aren't too good for open court play. Their souls have a lot of cushion (zoom air) but your feet moves around inside, and just doesn't hug the feet the way bball shoes should. i've tried every size from 8 - 10.5, could not find a good size. Court grip is kind of bad too. Excellent shoes. Similar bottoms to hyperdunks with the zoom air cushion. Hugs the feet. Runs okay. Ankle support not that bad for low, but use brace if you have bad ankles. Can move like a cheetah in these. Very light. Good ventilation. Kind of like sprinters shoe for basketball. These were decent. Runs a little narrow near the heal, and runs a tiny bit long. The heel to toe action is what i liked a lot. Feels like you are a car in the open court rather then on legs. tongue is very good bc it has responsive foam. Good inserts. Ankle support isn't that good for high top (although imo high tops aren't that much better than low tops). Also anyone who posts should say a bit about his playing style and position, a center's opinion on a bulky high top will be different thatn a skinny PG's. So , i'm 6'1'' , BW is in the mid 190's and i play PF. I am in the paint 90% of my game time. I am slow and my game relies most on out-strenthing and out-jumping my opponents. Awesome shoe. Back in the day it was an era ahead the competition. Great traction , ankle support , stability , heel-toe transition, responsiveness. Loved that shoe , didn't change it until it was totally worn out. 1) They are a little wide , didn't hug the foot that well. 2) The lunarfoam used eventually lost its initial abilites, so minus 1 for durability. Big dissapointment. Having loved the first hyperdunks i was excited to get the next model. Sizing had major problems. Was too short AND narrow , and the high collar+thin tongue+deep achilles tendon cut just didn't work. Shoe was full of hotspots , could not find the perfect lace tightness, kept geting blisters in the ankles and bruised nails on my big toe. I even widened and lengthened them 1 size , nothing changed. If a foot fits well in this shoe , its a solid performer. Awesome. Just awesome. Everything about this shoe is great! 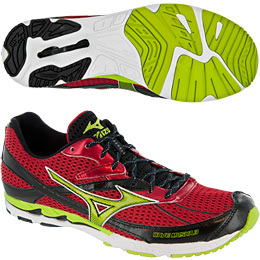 Very light , fast , stable , ultra responsive yet cushioning. Fits the goot like a glove. Gives a great ankle 'hug' and safety feeling although being low cut. I wear them mostly in my outdoors jumping sessions and after 2 years they still deliver. I don't use them in-season only because i am mentally unable to play competitive bball in low tops. Best shoes ever , resect! Currently using those. A very 'honest' shoe with an unbeatable value-for-money ratio. Two interesting features in this shoe : 1) cushion is all foam ( microG ) and 2) low cut with built in ankle sleeve. Shoe is legit. It's light , it's fast , it's responsive and it's stable. The fabrics are awesome , offering tight fit and good ventilation. The low-cut&sleeve combo delivers , good lockdown with increased flexibility. Foam works good too , it feels bouncy and has short respinse time. Shoe will fit many different playing styles. 1) Traction is not that good. It's not bad but it's not the traction that makes you trust and push 110%. Why did they chose that weird diamond pattern? If you can't beat herringbone, just use herringbone dammit! 2) Cushion is very responsive and feels like it absorbs the landings too , but after intense games with many jumps i feel pain in my foot balls ( ahem! ). Ive never had such issues with any other shoe ( which were all zoom ), even after 2-hour dunk sessions on concrete. It's not much of a pain, goes away next day, but it exists. Vag- yeah the hyperdunks seem to have some real sizing problems. The 2011's seem to fit the foot of a duck and I have kind of wide feet, but they were way too wide at the top. I heard the kobe 5's were one of the best kobe's out. 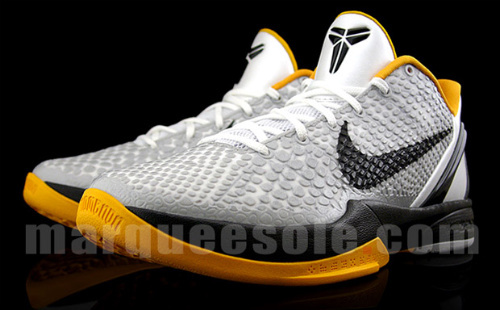 These are good shoes for guards and is like a generic version of the Kobe 5's. I play as point, trying to get to Chris Paul's level of creation. Good shoes up there, the adizero Rose 2. Too bad I've only used them twice, lol. I found them a solid performer in everything. The one attribute that stands out would probably be the way it responds to bouncy/power movements like cutting and jumping. The heel counter's great, really solid and thick and locks up your ankle. The top eyelets lace up real well also, so no worries here. Shoes are really responsive; this is something I demand from my shoes since I'm used to sprinting/running/jumping/playing barefoot. I need to have that same kind of bounce in my shoes as I do when I'm barefoot, and these deliver. Not as well as the adidas TS Supernatural Creators, though, which is why I held off on a 5. Now, I'm biased here because I play barefoot. I'm used to impacts and such, so when I say these are too soft, these are probably perfect for y'all, lol. I found them a little spongey on standing jumps but very good in reactive moments, so... Probably not good for a big-man type of play. Decent. Had some rubbing issues with my left foot, but I think it's due to a weird bone thing than anything else.